Our latest featured speaker is Germain Labat from Vedder Price! Germain will be speaking for us at our upcoming 13th Annual CA Superior Court Boot Camp in Los Angeles on October 12th! Germain has previously spoken for us at our 2017, 2016, and 2014 Superior Court Boot Camps in Los Angeles, where seminar attendees said his presentations were really dynamic, and gave great examples and practice tips that were easy to relate to. We can’t wait to have him speak for us again, welcome back, Germain! 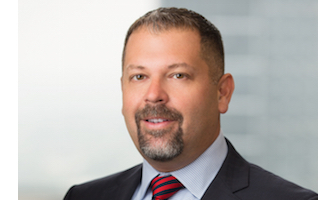 Germain D. Labat is a Shareholder at Vedder Price and head of the Litigation group in the firm’s Los Angeles office. Mr. Labat is an experienced trial lawyer who advises and represents companies and their executives in complex civil litigation in state and federal courts, as well as in arbitration and other ADR forums. His litigation practice focuses on all manner of complex business disputes, including commercial litigation, securities litigation, corporate governance and control disputes, commercial real estate litigation, and class action defense. His wide-ranging list of clients includes both public and privately held companies in the financial services, real estate, health care, energy, retail and technology sectors. Mr. Labat is a forceful advocate in the courtroom, having tried numerous jury and bench trials of complex and lengthy matters, including one of the longest bench trials in California history that spanned nearly 300 trial days. While Mr. Labat typically serves as defense counsel, he also has experience representing plaintiffs, having successfully obtained multimillion-dollar verdicts for his clients. Mr. Labat is also experienced in conducting internal investigations, acting as counsel to Special Litigation Committees in response to both external and internal allegations of impropriety, and counseling clients and their boards of directors on pre-litigation strategy and planning. Prior to joining the Firm, Mr. Labat was a partner with a leading international law firm. Before that he spent his early years of practice representing Silicon Valley start-ups and publicly traded tech companies in the Securities Litigation Group at another Am Law 100 firm.